Tiffin Service in jaipur , Tiffin Centre in jaipur, Home delivery of lunch and dinner in vaishali nagar , Nirman nagar , C scheme , raja park, M.I. road, Malviya nagar, gopal bypass , Lalkothi in Jaipur . Short Description -: fooding has been revolutionized for all the tiffinites in jaipur.First time in history of tiffin services where you can have options to choose in menu. 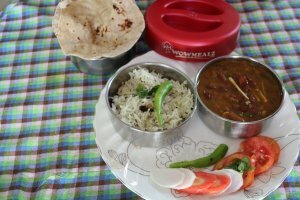 Description -: The one of its kind online customized tiffin service in jaipur with a unique feature of opting menu daily and the concept of GREEN DIET (Fasting meal) has made it a bliss for "The Tiffinites of Jaipur".